Though a flashlight or even the flashlight app on your smartphone is great for running off into the woods to relieve yourself in the dark when you go camping, camping lanterns still play a pretty significant role in camping. The hands-free convenience for providing light to perform camping functions in the dark really can’t be replaced. Consequently, camping lanterns are still a widely used and coveted item for nearly all styles of camping. The problem with camping lanterns is usually not that of trying to find one, but of trying to sort out which lantern of the many available will best serve your needs. Our buyer’s guide can help you narrow down your choice by providing you with some basic reasons, expectations and features for owning and using a camping lantern. In addition, our review of ten camping lanterns will allow you the opportunity to compare various lanterns and come up with the right one for you. If you’re ready to have some hands-free lighting in order to do various camping tasks in the dark next time you head out to get away from it all, then dive right into our buyer’s guide and camping lantern reviews in order to make a well qualified decision on which one you should buy. Why do you need a camping lantern? After you stop telling ghost stories around the fire, you will probably head out of the light of that fire in order to go to your tent. Though a flashlight or torch works well for following at trail to and from the campfire, or even to see when you go to relieve yourself, a lantern works much better for providing hands-free light inside your tent in order to perform other functions. What benefits can you expect from a camping lantern? A lantern not only provides hands-free light, but it also casts light in all directions, something a torch or flashlight doesn’t do. A camping lantern can typically be hung from the ceiling of your tent or from a hook beside your cooking stove to provide light for performing camping tasks in the dark. 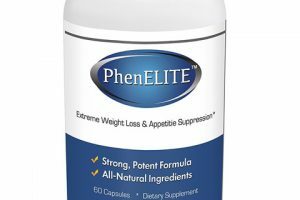 • Fuel is easy to find and they have better longevity. • Needs no fuel, but you have to replace or recharge batteries often. • No smoking or spilling fuel. • Easily adjustable lighting and light modes. • Much easier to turn on and off. 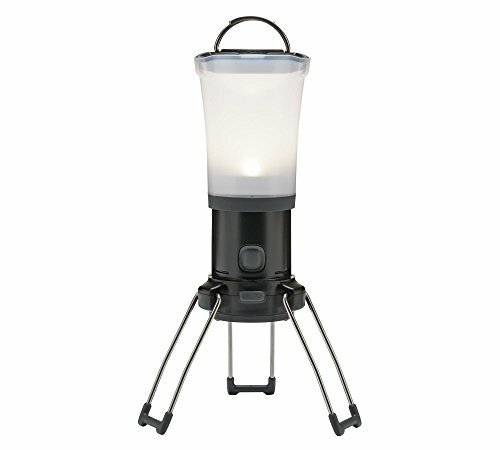 What are some features to look for in a camping lantern? Besides making a decision to go with gas fuel or an electric lantern, there are a number of features that you need to look for when choosing a camping lantern. An understanding of these features can help make it easier to choose the lantern which best fits your camping needs. Gas camping lanterns are great for putting out greater usable light, but regulating it with shielding and shutters is a little more of a challenge than switching a switch to change modes or directing light on an electric lantern. In addition, electric lanterns can come equipped with emergency strobe or SOS output functions as well. Incandescent bulbs are a thing of the past. LED lanterns are more efficient, run cooler, and are smaller and lighter. Also, lanterns with LED lighting tend to drain your battery more slowly, because they require fewer watts to produce light and therefore last longer. Lumens are the unit of measure for communicating brightness. A higher lumens measurement means that a particular light is brighter than one with lower lumens. This is one measurement that is not effected by whether your lantern is gas fuelled or electric powered. Depending upon whether you are car camping or backpack camping, you will want to consider weight. A gas fuel lantern really doesn’t work for backpacking because it requires you to take along fuel as well as the lantern. Electric, especially LED lanterns are lighter and tend to be more compact as well. Another consideration when it comes to weight comes when you hang the lantern in your tent. Modern tent designs don’t tend to support the heavier weight of a gas lantern. Believe it or not, modern lanterns sometimes double as recharging centers for portable electronics like smartphones, tablets, and portable GPS mapping units. These can often be paired with compact-sized solar panels for recharging the main unit as well. If you are the type who can’t leave your electronic gadgets behind when you go camping (insert heavy sigh here), you might want to consider this feature as well. Light weight and multifunction adaptability are major features of this JingooBon Rechargeable, LED, Multifunctional Camping Lantern. 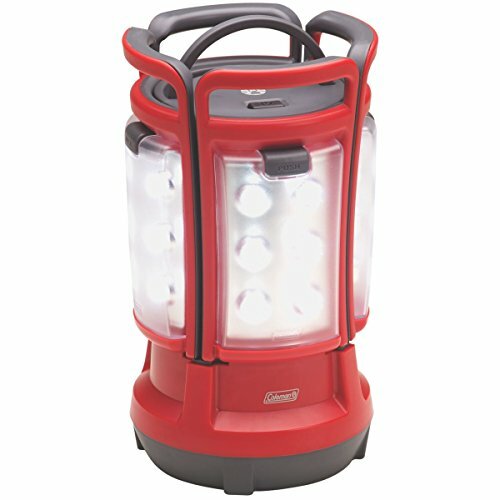 There are six working modes on this lantern, including emergency red and blue SOS strobes. 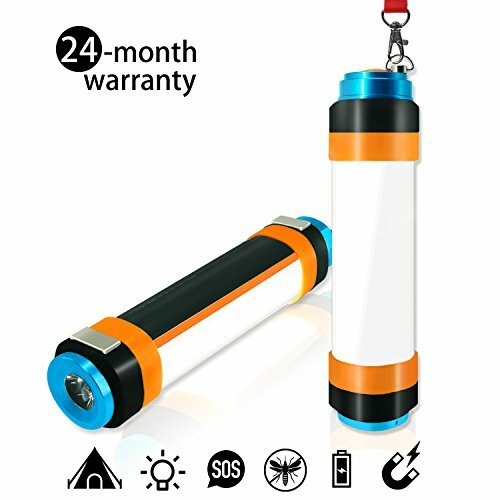 It is also waterproof, recharges from a USB or can be used as a power bank for recharging your portable electronic devices, is made of high quality impact resistant plastic and comes with a 24 month warranty. If that’s not enough, this lantern can double as a flashlight. Having greater control over a lighter weight LED camping lantern is certainly a plus, especially for those who do backpack camping. The multi-function features of this lantern are quite impressive and make it very versatile. This lantern will last 8 to 30 hours depending upon which mode is being used. The compact version of this lantern only puts out 160 lumens, which is very dim. The magnets don’t really hold this lantern up, so they are an essentially useless feature. 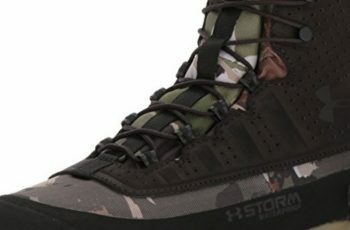 You are a backpack camper and want something very light and compact. For campers who want a serious lantern, you might consider the larger version of this same model. 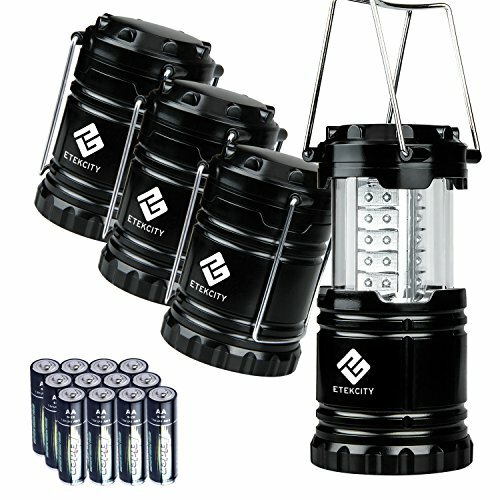 When it comes to compact lighting for camping and emergency lighting situations in your home, few lanterns are handier than the Etekcity Portable LED Camping Lantern. This lanterns make use of 3 AA batteries to provide up to 12 hours of continuous lighting. These lanterns collapse into a much smaller size when not being used, which makes them handy for backpackers. The pack of 4 lanterns are made of military grade material and carry a 2-year warranty and lifetime manufacturer support. The collapsibility of these lanterns is impressive, especially for packing light and tight. 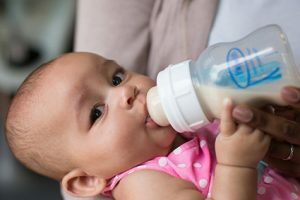 The low energy consumption is also a major plus to keep in mind. 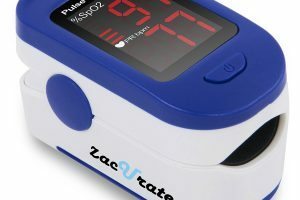 They are priced to fit any budget and come with a pretty solid warranty as well. 3 AA batteries provide the energy source for these lanterns. These lanterns only put out 60 lumens, consequently, at best, they provide ambient light. There is no on/off switch, they turn on and off by opening them or collapsing them. You are okay with ambient light for whatever tasks you need to perform. You will not be happy with these lanterns for any task that requires more focused light. 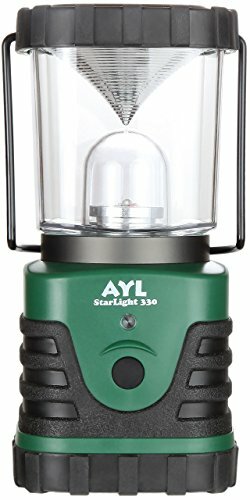 The AYL StarLight lantern provides a brighter light while using a very low amount of energy. The LED bulbs in this lantern provide six days of illumination on full power from a single set of 3 fresh D sized batteries. This lantern is lightweight, shockproof and waterproof and provides three different modes of lighting. This lantern puts out an impressive 600 lumens of light on 3 D sized batteries. If you aren’t impressed with that, you can’t be impressed at all. What is equally impressive is that you can get that much light continuously for six hours. 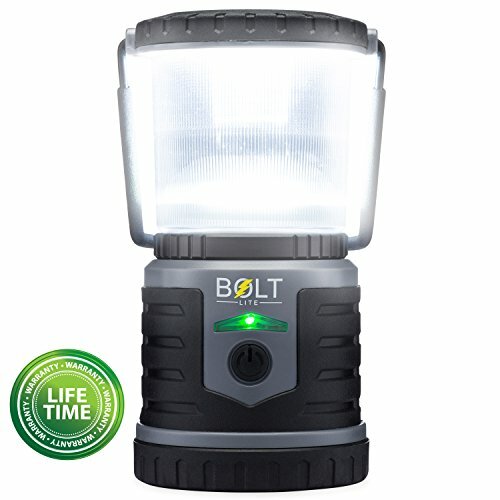 There is a lifetime warranty on this shockproof and waterproof lantern as well. 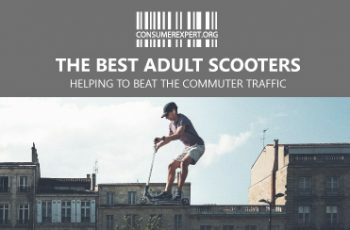 You’re also not shelling out a lot of cash to bring one of these home. It is a good thing that the batteries last a long time, because changing them is pretty difficult with this lantern. Check out the product dimensions, it is only 4” x 4” x 7.2”, so don’t be surprised at how small it is. You want a compact LED camping lantern which provides powerful illumination over an extended period of time on not a lot of power. You won’t be impressed with this lantern’s dimensions if you were expecting something more like a traditional lantern. This 4 mode, water resistant LE Dimmable Portable LED camping lantern will surprise you with its brightness. This lantern also makes use of 3 D-sized batteries to power its 300 to 1000 lumens of brightness. On its highest setting, with fresh batteries, this lantern will last for 12 hours of continuous burning. This lantern is lightweight for backpacking and can be used in wet conditions as well. This is a very bright lantern at its highest setting, but it can be dimmed to 300 lumens for more ambient light and to conserve battery power. Backpackers will love its compact size and light weight, coming in at just over 1 pound. The case on this lantern was designed to endure the rough and wet conditions that often come along with camping as well. The sequence of turning off the lantern makes you have to cycle through the strobe before going dark. Changing modes is accomplished by holding down a button as the lantern cycles through its various modes. You want a compact lantern you can carry on the trail when you go backpacking and provides you with more than enough light to work by. You might not be impressed with the functionality of changing modes. The classic Coleman lantern design is still present in the CPX 6 XL LED Lantern. 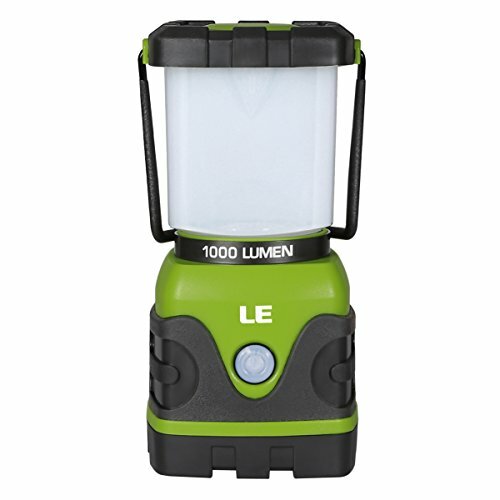 This lantern features a low mode at 100 lumens and a high mode at 700 lumens of brightness. 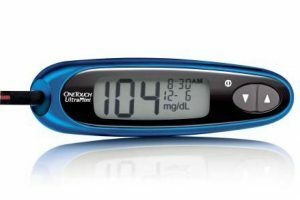 It makes use of either 4 D-sized batteries or a CPX 6 rechargeable battery cartridge. It is lightweight and made of high quality plastic which is waterproof and shockproof. The classic swivel carry handle design has survived with this lantern. Its range of lumens is pretty broad for a working light or to use like a nightlight. 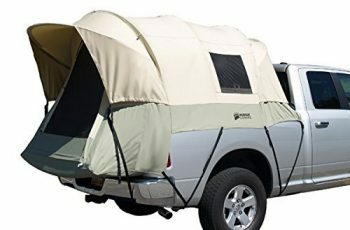 It is designed to handle the various elements of the camping environment. It’s not as lightweight and compact as other lanterns in this review, so not as good for backpack camping. It requires more batteries to power this unit than it does for many other electric lanterns. You want that traditional Coleman lantern look in an electric LED lantern. You won’t be impressed with this lantern for backpack camping. A more modern looking design has gone into the Black Diamond 2015 Apollo Lantern. Fashioned to look like an Apollo moon lander, this LED lantern runs on an internally rechargeable lithium ion battery to provide 225 lumens of glare-free light. It is well balance to sit on a table, but can be folded up to hang as well. It can be utilized as a power center to charge your phone as well. The tripod style foldable legs provide good balance for this lantern to sit on a table or uneven ground. It can be set up in various configurations making it versatile. The fact that it can also be used as a charging center for your smartphone is a plus for you electronic crazed campers as well. It is compact and weights less than a pound, so it works well for backpack camping. 225 lumens is not a lot of light for performing tasks where you need brighter light on the subject. This light also requires you to press and hold a button to cycle through its various modes. You are a backpack camper or just want something that is lightweight and compact for tasks you can perform with the assistance of ambient light. You won’t be impressed if you need brighter and more focused light to do camping tasks by. This Coleman Quad LED Special Edition lantern harkens back to the old coachlights of days gone by in design, but it has some modern features you’re going to love. The four panels of this lantern can be taken off and used as individual light panels or assembled together into a single lantern. Each panel provides 47.5 lumens individually and together they provide 190 lumens. Each panel is water and shock resistant as well. This quad lantern with its removable panels is pretty useful for camping because it allows someone to take off one part of the lantern to wander off into the woods to relieve themselves without hunting for a flashlight. Each panel last for 1.5 hours separated from the lantern and the lantern runs for 75 hours. 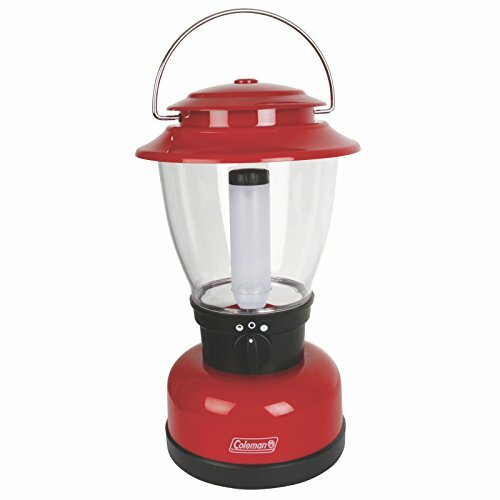 A 5 year limited warranty comes with this lantern and is backed by a quality brand name in camping. 190 lumens is not very bright and the 47.5 lumens of each panel is little more than a nightlight. There are no high or low light options with this unit, it is either on or off. It is too bulky and heavy for backpack camping. You like the convenience of being able to remove the panels and spread the light around to various areas, but still have a lantern when you put it back together. You won’t be impressed with the low lumens and lack of brightness variation of this lantern. Long lasting illumination on a single charge is the standout feature of this Rechargeable LED lantern. This lantern is built to stand up to the elements of the camping environment and still produce up to 250 hours of illumination on a single charge. It charges using a USB cable and wall plug and emits 400 lumens of brightness. High, medium, low and SOS are all functions available on this lantern with a lifetime warranty. This lantern has the best power usage of all of the lanterns in this review, lasting more than ten days on a single charge. 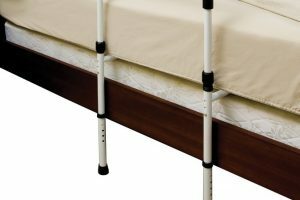 You don’t have to change out batteries on this unit and it is made of durable ABS plastic with a drop rating of six feet, so it is built to handle rugged conditions. 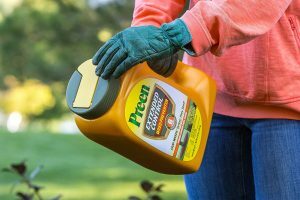 A lifetime warranty is a pretty solid benefit to keep in mind as well. 400 lumens is just a little bit better than ambient light. The price tag on this lantern will cause a lump in your throat as well. You want long-lasting illumination at a moderate level. If you are on a budget and an infrequent camper, you will have a hard time justifying this purchase. Another rechargeable lantern which lasts a long time is the Tough Light LED Rechargeable Lantern. This lantern provides 200 hours of light at 400 lumens from a single charge. This unit can also be used as a charging center for your portable electronic devices. It holds a charge for up to 9 months when it isn’t being used, making it a pretty dependable emergency lighting option in your home as well. Getting sixteen and a half days out of a single charge is pretty impressive for any lantern. The waterproofing and drop resistance ratings on this lantern are impressive as well. Those who take their portable electronic devices along when they go camping will appreciate that this lantern can serve as a charging center. 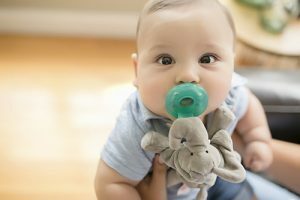 The 2 year warranty is another plus to keep in mind. This light provides just a little bit more than ambient light at 400 lumens and isn’t really suited for tasks that require brighter illumination. It is pretty small and only lights a very small area. You need a compact lighter weight lantern with plenty of staying power. You might not like the low level brightness of this light for tasks that need a little more light on the subject. This little Streamlight Siege Compact puts out a lot of light for a handheld lantern. It features a compact design which is waterproof and shockproof and provides 540 lumens of LED light on 3 D-sized batteries. The low level on this lantern will provide you with 295 hours of continuous light if necessary. 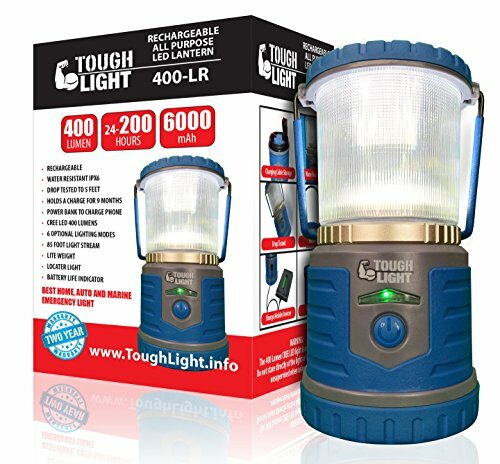 This lantern has 5 modes to choose from, including an emergency strobe. It can be hung upright or inverted and can also be used on a table top. You get a lot of light from this lantern at 540 lumens. It does not waste a lot of power, making it a good choice for longer camping trips. Changing batteries in this unit is easier than with some of the units included in this review. Its multiple lighting modes is also handy for various camping needs. Its removable globe is handy for providing more focused light when you need it as well. It is water resistant enough to float on water. The cool white light of this lantern doesn’t give you the same sense of proper lighting as a warmer light. This lantern cycles past its high level first when changing modes, making you have a flash of bright light before turning it off. You are in the market for a lightweight camping lantern that is water and shockproof and provides a decent level of brightness. You might not like the cool white light of this lantern if you’re expecting a warmer glow.